Listen to the whole interview on the How to Become a Consultant Podcast. John Lee Dumas is the Host of EntrepreneurOnFire, an award winning Podcast that airs seven days a week. A self starter, consultant, and podcaster, John made history when his daily show achieved Best of iTunes in 2013 with 7.4 million downloads. EntrepreneurOnFire generates over $250,000 a month in revenue & offers a free 15-day course on Podcasting at FreePodcastCourse.com. With over 1 million unique listens a month, John and his girlfriend and business partner, Kate Erickson, have inspired Fire Nation to take control of their life and take the Entrepreneurial leap. In his conversation with Joe Sanok, John talks about the importance of adding real value, finding balance, creating compelling content, and listening to one’s audience. 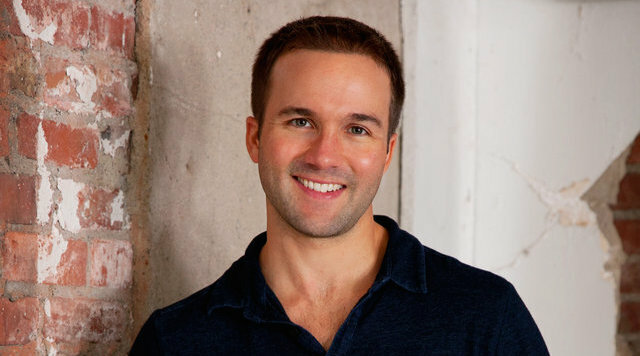 Follow John on Twitter @johnleedumas. Need a logo or website? Look no further than our amazing sponsor, the creator of all my websites, Legendary Lion. Joe Sanok: Welcome to the How to Become a Consultant Podcast Session 12. I’m Joe Sanok, and I am so glad that you are here today joining us this week. Before we dive into our consultant interview with John Lee Dumas, I just want to thank Legendary Lion. Legendary Lion has done all of my websites and man, it would so—when I was making becomeaconsultanttoday.com, I had to decide do I want this to be a free standing website or do I want it to be within Practice of the Practice? I’ve been doing consulting with people that own private practices as counselors in medical fields, social workers that sort of thing for quite a while, probably since 2012. I was thinking, “Well do I want to keep it within that website or should it be free standing”? And I decided to keep it within Practice of the Practice for a few reasons because my audience there already have a podcast over there at the Practice of the Practice Podcast. It’s a weekly 45-minute or so podcast where I either interview people or just talk about kind of marketing and business and kind of being a consultant to people that own that private practice. I had to decide do I want to have Become a Consultant Today be within that? And I thought you know that audience if we’re looking vertically like as they grow their business, consulting is definitely a natural next step. And so I didn’t want to lose that audience by taking them off the website, but also I knew that there’s going to be a lot of people that they aren’t counselors at all. They don’t own private practices at all, so how do I have that kind of integrate? Aaron helped me figure out a logo design that would kind of match the Practice of the Practice logo in colors and font but not kind of match it completely. But then also, when you click on the consulting like blog post, that logo stays the same, and I don’t even know how to do that in WordPress. I mean, I’m sure that there’s people out there that do. Well, obviously, there are because Aaron was one of them. He helped me be able to figure out how to navigate that within the website, have it kind of look like its own website but within my website and it was just so easy to just hand that off and you know, as you continue to grow your hourly rate, whether that’s in individual consulting or how much you make through E-courses or through sitting down with corporations or whatever your hourly is, figuring out how to leverage your time to move forward faster is so important, and that’s why last week when we talked to Chris Ducker about virtual assistants, I think that’s so important right from the beginning, and that’s why I wanted to start the very first week with Pat Flynn, who had so many just ideas about just being a small business, how to have that online component. There’s a new way of doing consulting. Last week, I wanted to have Chris Ducker who he just is so smart around using virtual assistance and this week, we have John Lee Dumas. And the three of them are actually friends, and I’m really excited to have them be who are kicking off this podcast, because they’re just such power players doing such cool things. If you haven’t heard of John Lee Dumas, John Lee Dumas has EntrepreneurOnFire and it was the best of iTunes in 2013, because they’ve just the dedication to serving the audience. He has just so many great insights. He’s a seven-day a week podcast. Seven days a week and then like long like they’re not these short 10- to 15-minute podcasts. They are full on like 45-minute interviews. John will just record a whole ton of those all on Monday and then batch them out. It’s just amazing what he’s doing, and he’s got other podcasts that he’s doing, as well. I think it’s super cool that I’m learning from right now is how he’s using Google hangouts to do Q & A sessions and to run his webinars and he’s just doing a really amazing job with that. In this podcast this week, we’re going to just dive into all the techniques that he’s using, and he is just full of energy. That name EntrepreneurOnFire like this guy is ready to ignite. He is just through the roof, full of energy, just unreal. So, without any further ado, let’s talk to John Lee Dumas. Joe Sanok: Well, John Lee Dumas, from EntrepreneurOnFire and a million other things, welcome to the How to Become a Consultant Podcast. John Lee Dumas: Joe, I am fired up to be here and prepare to ignite. Joe Sanok: Oh, you always are and this week, we’re going to be talking to John Lee Dumas all week long. Today, we’re going to be chatting with him all about how to grow a specialty. Tomorrow, it’s going to be about how to grow an audience. Wednesday, it’s going to be how to grow an income and then Thursday, all the things that maybe we didn’t get to. John, I know you’re all about stories on your podcast and that’s what one of the things I just love about your podcast is you get people to talk about just their past, how they got to where they are. Around specialties, tell me a little bit about how you got into podcasting and not just podcasting like seven days a week, like you’re like a machine. John Lee Dumas: Well, I actually am a machine. I should probably come out now and then. John Lee Dumas: But I do want to make the note that I’m actually really digging your bite-size formats. I think it’s a great idea. It’s very unique so kudos to you because it’s something that I haven’t seen very much of, and I think that does kind of tie in to my beginnings because I was like Gandhi, now to quote, “I wanted to be the change that I wanted to see in the world.” For me, I love listening to podcasts, Joe. I was a big consumer of listening and loving podcasts, but they were just coming out one day a week, and I was like what’s up with that? I need more. There must be other people like me. I drive to work five days a week. I drive home five days a week. I go to the gym. Other people must be doing these activities, too. It’s pretty common. Where’s the seven-day a week show? I didn’t see it. I saw that there was a niche to be filled, a void that was out there and so that was the birth of EntrepreneurOnFire. Joe Sanok: Yeah. Well, I know that a lot of people feel like well what gives me the authority to all of a sudden be a seven-day a week podcaster like where did you find in yourself that kind of authority to just jump into you know, I want to be that seven-day a week person. John Lee Dumas: Yeah, you know I mean, to really take some strength in that quote, that Gandhi quote, you know, it was I’d either just complain about the fact that nobody was doing it or I could just say, “Hey, I going to actually get up and do this and that was just kind of my approach to do it, and I did not have any authority. I did not have any credibility. I just had the knowledge that I could potentially grow into a position of authority and credibility and of delivering value if I actually took action. And that was what I had to do. I’ve always been an action taker you know, going back to my military days being an officer in the army, and so that’s what I did. You know, I invested in myself. I hired a mentor to teach me all of my shortcomings which were countless, because I didn’t know anything about podcasting. I just knew how to press the play button, and I went forward. Joe Sanok: I think that’s such a good idea just like you didn’t know really what you were doing. You brought someone on that did and you just went for it and then you kind of adjusted as you started. Early on, what were some things that maybe you would have avoided looking back in retrospect when you were building that specialty? John Lee Dumas: Taking things too seriously like you actually during your preview chat you were like, “Hey, John. You know, I just like to have casual conversations and like I love that. I wished that I was that relaxed when I first started but you know, maybe that’s—there’s a lot of pros that comes to being to an officer in the US Army, but there’s also cons like I was trained in life or death situations. I spent 13 months in Iraq fighting a war. I was very serious about systems and how things were supposed to be to a fault with podcasting because podcasting should really be laid back casual conversations that people are just enjoying and obviously, 840 episodes later, I’ve come to that conclusion, but it took me a lot to get there. My first few months in the industry learning the ropes, so to speak, were struggles because I didn’t know how to be casual. I came across as very robotic and inexperienced, and I was a lot of both. But you know, another quote that I love is “If you want to be, do.” I wanted to be a podcaster, so I just had to flip in podcast and not worry that I was struggling at this point and just know that every episode I was getting just a little bit better. I’ll tell you at that point, 9 times out of 10, they’ll be happy to point you somewhere else. And that is where you need to get out there, make the bold ask because if that perfect person for you to mentor says no, then they’re likely going to point you to somebody that’s going to be as good or potentially even better, and that’s just kind of crazy. To give you a real example, people come to me and ask me to mentor them all the time for podcasting, because they’d seen the success of EntrepreneurOnFire, and I mentored for a couple of years like it was something I did enjoy doing but I was never great at it. Like I was great at running my podcast and my business. I was never a great mentor but I since connected with great mentors who I’ve given all of my knowledge to, who I trained personally and now, those mentors are people that I can point these people to that come to me and they’re much better off than they would be even having me as a mentor, so really go for that big ask and find that mentor. Joe Sanok: Awesome. John Lee Dumas is going to be with us all week. Tomorrow, we’re going to be talking about how to build an audience, and we’ll talk to you tomorrow. I just love what John had to say about systems and podcasting and how he recognized his own faults within that. If you listen to a show, you’ll hear that his questions are pretty structured, and one of the questions that I just love that he asks everybody is, “If you woke up tomorrow with a few hundred dollars and a computer and you knew nobody on planet earth, but it was the same earth, what would you do”? That’s such a just good question because it’s really like if you just start over, if you just had to start over and you don’t have any of your contacts, you just have a little bit of money, what would you do right away? You definitely should check out EntrepreneurOnFire. It’s an amazing podcast where you just can learn from some of the best entrepreneurs in the world. So, tomorrow, we’re going to be talking more with John Lee Dumas about how to grow an audience. I will talk to you then. Joe Sanok: Welcome to the How to Become a Consultant Podcast Session 13. I am so glad that you’re here today and today before we get to our consultant interview with John Lee Dumas, I just want to thank Legendary Lion for being our sponsor. They have been such a reliable sponsor and make just beautiful websites. They do catered websites. They don’t have this canned packaged websites. They can do just about anything with your website, and they’re so reasonable in their cost and their follow through were just how well they work with people. So check out legendarylion.com. And today we’re talking with John Lee Dumas and for me, John is such an inspiration, because he does so much stuff. He has so many podcasts and things he’s doing, but yet he still finds time to do the things that he loves, and so we talked a little bit about stand up paddle boarding. I enjoy stand up paddle boarding. I probably don’t do it as much as he does. But just incorporating just wellness and exercise into your life as an entrepreneur, for me I like exercise when I do it, but I hadn’t found the time for it and probably in the last month or so. Actually it was January 2015, I had a major back flare-up and my back, I had back surgery in 1999 and so it’s always been kind of an issue for me, and so I was going to like three days a week of aqua therapy, two hours each time where they were doing this back stimulation and all these just crazy things in aqua therapy. And during that time to start to feel healthier again and to feel that momentum towards wellness, was just so important for me. Then when I left my full-time job in early March 2015 to go off and do my private practice and consulting and everything else that I’ve been kind of doing on the side up till that point, I just knew I had to incorporate in better wellness into my life, both hanging out with my family, structuring my times that I get things done, but then I’m just not working like 50 or 60 hours a week. I feel like John does just a fabulous job of showing how you can work hard, but you can also play hard. So without any further ado, let’s talk to John Lee Dumas. John Lee Dumas welcome back to the How to Become a Consultant Podcast. How are you doing today? John Lee Dumas: I’m wearing the same shirt but that’s just how I roll. Joe Sanok: Do you even shower? I mean, you didn’t even like grow anymore beard. It’s just crazy. It’s like we’ve recorded this all on the same day. So, today we’re talking all about how to build an audience and I mean, your audience is just phenomenally huge. I mean, you’re bringing in 250 grand a month. I mean, it just seems like every time I check out your numbers, they’re just going through the roof. Let’s talk about that. But that might be kind of far from where maybe the audience is at. What are some kind of small things that people when they’re first starting out can do to start to build an audience around consulting? Create free content. Whatever that content might be, whatever distribution you want it be, it can be via a podcast, via a video, blog, written word, whatever it might be, it needs to be a free piece of content. It needs to be valuable. Work hard to make these valuable pieces of content whatever form that you’re going to create and believe me, your level of value is going to rise as your knowledge rises, but make this valuable as you can at the point where you’re at. This is where everybody completely drops the ball, consistence. Make it consistent. I launched EntrepreneurOnFire with three podcasts and that was number 1 and did I make it valuable? I made it as valuable as I could which to be honest, wasn’t incredibly valuable from my end at the beginning, but luckily, because of the podcast format, the guests I was able to bring on were able to provide a lot of value. Here I was providing a free valuable content and then Joe, I did it seven days a week. I mean, there’s no more consistency with that. I was hitting those three cylinders every single day, and it didn’t click overnight and you know, you talked about those numbers that we do now. You know, we did over 2.5 million dollars in revenue in 2014. We’re consistently clearing $250,000 a month, but the first nine months of my business was $0 coming in the door. It was building that audience through that free valuable consistent content to where then it got to the tipping point, where now, you hear [4:52] you know it means something but it didn’t mean anything for a long time. Joe Sanok: I think you bring up such a good point of free valuable and then especially that consistence. So many people will run a blog of whatever it is they’re doing and they’ll go full tilt when it’s exciting, but then they hit that bump and they’re just like, “Oh, this is a lot of work.” Then they stop and it’s like well that’s why people there are successful like yourself or other folks when they keep with it, they’re successful, because if it was easy, everybody would do it. Joe Sanok: Yeah. So, tell me a little bit about building an audience especially around giving free content. I know you’ve got your freepodcastcourse.com. I always see on Twitter you have some webinars. You’re just giving stuff away. Talk a little bit about that kind of content that pulls people in to be a part of your audience. John Lee Dumas: So, I like to call it the trust zone and to be honest with you, this is just a phrase that I’ve come up with over the last few weeks. I really haven’t even been sharing it that often on my podcast or with my audience. Joe Sanok: So, exclusive content right here, you’re saying? John Lee Dumas: –it’s got to find it because like when I come up with a great idea, what I think is at least a great idea, it like it takes like a month and a half to hit my audience because I record that far in advance. By the time I start talking about it, nobody or the listeners to my podcast is going to hear it for like 40 days, which is fine. That is the trust zone and I’ve really come to this conclusion which is why I’ve created freepodcastcourse.com, which is just a free 15-day course that teach you how to create, grow and monetize a podcast, completely free; thewebinarcourse.com, same thing. In 10 days, how to create and present webinars that convert, completely free course because I’d become a huge believer that you need to get people into your trust zone. How do you get people actually into that trust zone? You got to deliver that free valuable and consistent content all the time like you need to be coming at them where it matters most. And so when people can see that I’m doing this stuff and you know, because I actually have them as courses via email, as podcast episodes, there’s actually a 20-episode series called Free Podcast course so I’m delivering in all the different mediums so that people are hearing the podcast, they’re getting the emails, they’re watching the video tutorials, I’m coming at them with all these different free valuable and consistent content pushing them closer and closer then into my trust zone so that when they decide to take things to the next level, and they want to become an awesome podcaster or they want to really crush webinars the right way, they join podcastersparadise.com which is the number 1 podcasting community in the world with over 1900 members but it’s a thousand plus dollar price point. It’s actually $1200 price point as we speak right now so it’s not a small investment, and people aren’t going to make that investment, Joe, unless they’re in your trust zone. And then Webinar on Fire is $600 course teaching you how to really crush webinars, but people aren’t going to get there and aren’t going to actually join those communities at that price point unless they’re in your trust zone. If they see what I provide for free, they just get excited what I might be providing behind those paid walls. Joe Sanok: Awesome. And John, what’s one thing that people that want to start becoming a consultant today can do to build an audience? Joe Sanok: Podcast. All right. John Lee Dumas: Oh, yeah. There’s nothing to beat that. Joe Sanok: Yeah, I hear you. I mean, your voice comes through, people get to know you as a person, so I’m with you there for sure. John Lee Dumas: The very intimate is very engaged you know, because people will pop on a podcast, and they go for a run. You’ll have their attention for a significant amount of time and you know, we live in this world of snap attention spans. There’s just a different world in the podcasting game, and you can learn how to do it for free at Free Podcast Course so what’s to lose? John Lee Dumas: Can I wear this shirt? Joe Sanok: You can wear the same shirt, and that would be awesome. Grow that beard a little bit more, though for tomorrow. John Lee Dumas: Oh, yeah. Joe Sanok: All right. See you tomorrow. So I’m wondering what your big take away is from John Lee Dumas’ interview about how to grow an audience. Will you tweet out to me exactly what you’re thinking? My handle on twitter is @OfthePractice and I would love to hear what you’re doing to just grow your ability to become a consultant. And maybe if you would tag John lee Dumas in that as well, that will be super cool. He has just a lot of great things going on, like just for example, last month, one thing well, we’ll talk more about this tomorrow, but he almost made $300,000 last month. So he’s going to be giving us all sorts of kind of inside scoop on what he’s doing but send out a tweet, tag me in it; that would be awesome. My Twitter @OfthePractice, and we’d love to hear what you’re going to be implementing from this how to grow an audience. Thanks for letting me into your ears and into your brain. Go to becomeaconsultanttoday.com for all sorts of extra information. See you. Joe Sanok: Welcome to the How to Become a Consultant Podcast. We are on Session 14 already. Is your day going awesome? I hope it is. I really hope it is. Today, it’s a sunny day here in Northern Michigan and sometimes the winters are long up here and so to have some sun is really, really nice and even our summer. The summer 2014 it was so cold and I just I don’t know. It’s like we put up with, we put up this winter and then you hope it’s going to warm in the summer, so we’ll see. But today, we’re again talking with John Lee Dumas. John Lee Dumas is just such an amazing entrepreneur. He has EntrepreneurOnFire. That’s just his website. He has all sorts of other things. He talks very openly about his income where he’s making income and today, he’s going to help us discover new and innovative ways that we can start to monetize our consulting business. So, without any further ado, I give you—wait I almost forgot. Today’s episode is brought to you Legendary Lion who does amazing websites. They are just freaking awesome. I’ve used them for my websites. They’re beautiful, and they also do logo design and almost anything digital you need done. It’s a great use of your just like money to leverage your time to have someone else just go in there and do it right. I wish that I had brought them in sooner because as soon as I did that to my website, I did the upgrade, my audience and my bounce rate like the audience went up, the bounce rate went down, people just have website envy over my websites. It’s so cool. So check them out, legendarylion.com. And now, John Lee Dumas, the man. We’re going to learn from him all about how to grow an income. John Lee Dumas, from EntrepreneurOnFire, who is still wearing the same shirt all week long, he’s probably starting to stink a little bit, but welcome to the How to Become a Consultant Podcast. John Lee Dumas: What’s up Joe? Joe Sanok: Nice to see you again. So, yesterday, we were talking about how to grow an audience and one thing I was thinking about is you know, so often, I see on his websites like, “Get my free E-course, and I always feel like you know I know that’s going to lead to them wanting to sell me something eventually”, you know. It’s just a baiting hook. How do you get around that? Because you know, you yesterday talked about how you got you know this free podcasting tutorial. How do you build that trust in a way that makes you money but also isn’t just you know this kind of baiting hook kind of feeling? 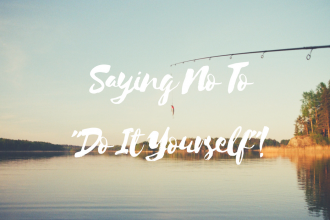 John Lee Dumas: Yeah, you just don’t make it a baiting hook. Like a baiting hook could be, you know give me your email address and I’ll teach how to crush webinars, then they get that and they give you their email address, then they get it it’s like to crush webinars you have to and just like click here to buy the course. That didn’t teach me anything. Like my courses are completely free and they’re complete. Like it’s a—my free podcast course is a 15-day complete course of how to create, grow and monetize a podcast. People have launched their podcast from that course and that course alone. And there’s literally nothing else needed. And I even give my book away with the course Podcast Launch, which is the number one rated book in all of Amazon on podcasting, because of 15 more tutorials, that teaches you every single step of all those process you need to create, grow and monetize a podcast. That’s it. And thousands of podcasts included with that book in the course now have been launched from that alone. Only a percentage of people have decided to “Hey, I’m going to take it to the next level and join a community, because I know that John’s going to provide the value with his Facebook groups with the monthly webinars. I just had Tim Ferriss as an exclusive for our last Podcasters’ Paradise Webinar. You know we bring people like that to really make it an incredibly valuable community and it’s $1200, and we have 1900 members. It’s almost crossed two million dollars in revenue. So the model works; I’ve proven it and just don’t be afraid to give all away. Joe Sanok: Well, I think that’s the big thing that is not “Here’s the email. Okay now you can buy it.” But you have a complete course that if somebody doesn’t jump into Podcaster’s Paradise, they still get immense value out of it, and that’s what I think really separates the consultants that are going to make some money from the consultants that are just trying to sucker a few people into it. Joe Sanok: So what are a few other kind of quick tips for people that are just getting started with consulting and they want to start to figure out some ways to make some money on without it being just like to get-rich-quick thing, but this kind of genuine building content approach? John Lee Dumas: So the most important thing that anybody can do is looking to build that meaningful audience is to truly and genuinely engage with that audience. The best thing that I ever did when I was first starting EntrepreneurOnFire and I had those first few rating fans who would actually email me, and say, “You know, John, despite the fact that you’re obviously inexperienced then you have long ways to go, we still love your podcast and we think you’re awesome, and thank you for providing daily value, like we need that stuff because you know we commute to work every day.” I would respond to them and say, “Hey, thank you so much. Would you have time and jump on a ten minute Skype call?” And they’ll be like, “What? Like really? You have time for that”? I mean, people have this perception that like somebody that has a podcast or a consulting business is just like slammed to the walls and that can be the case, but you control your own schedule and having those 10-minute calls, I made a priority for me and those calls were absolutely priceless. Like actually talking to my first listeners, hearing where they came from, why they listened, why they continued to listen, why they suggested it to their friends? What I could improve upon the podcast, because there were definitely a lot of those things, and still are. But then, specifically, what are their pain points? What are their struggles, obstacles and challenges listening, notating this down and then when the time comes, creating the solution for those pain points, for those problems which turned into Podcasters’ Paradise, 1.9 million sales, Webinar On Fire over $250,000 in sales and much more. Joe Sanok: So, you get all these things going, how do you keep track of all these like spinning wheels, whatever analogy we want to use? I mean, I’m sure you have some systems to streamline it, other than being a machine. But like what are some systems that you use to just keep track of just the money side and the project management side like maybe inform us on that. John Lee Dumas: Yeah! I’m a really good team builder and you need to be able to build the team that’s very efficient. So I have a CPA on the staff that he does all of our taxes. We have a bookkeeper that runs all the books. I have my girlfriend and partner in the business Kate who runs the whole content creation side of it. We have three virtual assistants that all have their own individual tasks and they work 40 hours a week. So we consistently write down that we do, day to day and especially as the business is growing and we’re looking at these things and say, we can train somebody to do all of those things and then we would, and then boom. We would just let them go off to the races and that was really incredibly valuable to allow our VAs to take things off the plate so that we could focus on building other things. Now our VAs are working 40 hours a week for us and there’s three people that are doing that. That’s a 160 hours a week that are putting in for EntrepreneurOnFire, that aren’t coming from Kate or I.
Joe Sanok: That’s awesome. Well, what’s one thing that our listeners can do to start to move towards growing an income as a consultant today or this week? John Lee Dumas: Those conversations will be the one thing. Like there’s just nothing more important. Actually, having those conversations with people that already in your community or just entering your community, setting time aside and having those one-on-ones and asking them those questions. Joe Sanok: Awesome. John Lee Dumas from EntrepreneurOnFire we’re going to be talking to him tomorrow, wrapping up the week and we’re just going to talk about all sorts of things. I have some questions for him about stand up paddle boarding because I know he does a lot of that and so we will be—oh, let me see that screen. Oh, I’ll have to show you the bay. Here, I’ll turn it around for you. John Lee Dumas: Yeah, yeah. Joe Sanok: I’m not sure if you can see that. John Lee Dumas: I can. Joe Sanok: [cross-talk] The snowy winter wonderland of West Bay in Traverse City. We have stand up snowboarding right now going on. All right, so we’ll talk to you tomorrow, John. Joe Sanok: So, as you can hear at the end of that interview, John and I were showing each other views of the bay from each of our offices which I think puts a spotlight on the fact that sometimes when you’re growing something new, you have to do it over time. For example, my interview with Pat Flynn, I did in November of 2014 well before this podcast went live. But for me, it was really important to get some big names involved, to get people like Pat Flynn, Chris Ducker and John Lee Dumas and so I had to work around their schedule. I know that I contacted Chris Ducker in probably November or even before that and he couldn’t be with me until February. When you’re trying to get people involved in your projects, sometimes it’s important to keep your audience involved, updated and also do a really good job. This interview with John obviously, I did in the middle of winter in Traverse City. That’s how sometimes you’ve got to do it. Again, thanks a lot to, for you, the listener for listening in but then also Legendary Lion who is one of our amazing sponsors. They are just such a good website and digital design company. Check them out, legendarylion.com. Also, would you go over the iTunes? I would just love a review. These first eight weeks of this podcast are the most important weeks in launching a podcast. We really want to get into the new and noteworthy section of iTunes. If we can get probably 50 or 60 reviews in these first couple of weeks, that’s going to be a game changer for what we’re doing. If you like what you’re hearing and you want this to continue and you want me to continue to get these kinds of just amazing consultants on here, please go into iTunes, give us an honest review. If you don’t like what we’re doing, please say that. If you love what we’re doing, please say that. We would love to have that. Go to iTunes, find the How to Become a Consultant Podcast, write a review. I would absolutely love that. I’m going to be reading some of those on air in the future. Thanks for letting me into your ears and into your brain and I will talk with you tomorrow. Joe Sanok: Welcome to the How to Become a Consultant Podcast with Joe Sanok and friends. This is Session 15. Really glad that you’re here. All week we’ve been talking to John Lee Dumas and at the beginning of today’s interview, I’m going to ask him a few questions, I’ve been dying to ask him about the stand up paddle boarding. So that’s what I start with and at the end of this interview he has a just awesome quote and I just love it. I think it’s super great and it’s one that he said he built the foundation of EntrepreneurOnFire for with. So without any further ado—well, I keep doing this. Sorry, yesterday I did it, too. Legendary Lion is awesome. They have been our sponsors since the very beginning and they do crazy awesome websites and I almost forgot them. So sorry about Aaron. But you know what I’m just so excited about this interview of John Lee Dumas also; legendarylion.com they do some sweet websites. You can check out mine, practiceofthepractice.com, becomeaconsultanttoday.com or mentalwellnesscounseling.com. They’ve done all of them. They’re beautiful. They’re amazing. They’ve done so many more. You can check out their portfolio. So I give now, that I’ve talked about Legendary Lion, I give you the awesome John Lee Dumas. John Lee Dumas, welcome back to the How to Become a Consultant Podcast. How are you doing today? John Lee Dumas: Awesome! Go fryers. Joe Sanok: All right. So, all week we’ve been chatting with you about How to Become a Consultant. Monday, we chatted all about growing a specialty, Tuesday, was all about growing an audience, yesterday was how to grow an income and today I just leave it open to talk about kind of things we missed. Maybe even questions that I should have asked you that I didn’t ask you. I want to start with you do a stand up paddle boarding from what I hear, and you said you listen to podcasts and I am always wondering if you fall in the water, like do you have an awesome like waterproof shell or you just tag that it’s stand up paddle boarding. John Lee Dumas: I’m pretty good at stand up paddle boarding, but I also do it in the day, right here which is really no ways, except for when boats go by. And I listen to podcasts on this guy, right here. So it’s like an $80 iPod; it’s not like my smart phone. So, although I would be disappointed, it wouldn’t be the end of the world, like I would just go like, all right Amazon, let’s get another one. It would be annoying, but again, I take the risk and I just don’t fall often; it’s a pretty wide board. It’s nine feet ten inches, and it’s pretty standing. Joe Sanok: Sure. Okay. So, even though that has nothing to do with consulting, it actually does. You know, I think that you talk a lot about kind of life balance, and how do you kind of structure your day so that, I don’t know you have that wellness inside of you. I know you’ve talked a little bit about meditation and time for yourself. Take me through like what should I be doing, because I am not doing a good job of that. So I get back from that power walk. I have a nice green smoothie which is critical. Tons of carrots, kale, cucumber, celery, a cup of blue berries, some almond butter, some cinnamon, some Reese’s powder and MC tol and some other thing along those lines; anyway it’s amazing and it’s yummy. It’s an acquired taste but it’s yummy. It’s really important. I mean it like baffled—I’ve never been Mr. Healthy before, but I think back and I just, it baffles me, that if our bodies still can run with the food that most people put in their bodies. [cross-talk] for years. I would subsist on you know like a Dairy Queen Blizzard and French fries at McDonald’s, it’s like, how does my body even survive? I mean what is that stuff? So, I come very cognizant now about the food that goes into my body. A book called the Calorie Myth is so incredible. I think everybody needs to read it and it hopefully will change your mindset like it has changed mine, as far as what foods should be going into your body and you know, that every buff, [5:02] pull up bar. That, that way some push up bars right down here, and I like to that, not a lot. Just let me think that the blood is flowing. And then I sit down and I dive eventually. You know a lot of people like, I stay away from emails for the first part of the day. I don’t, because you know, I get into it. I know I have a lot of emails in the inbox and I like to get that out, because there’s a lot of tasks that are awaiting me to keep going, so I have to clean that out. And then I move on. And then, I’m doing my tasks for the day, and I’m very calendar-oriented, like I only do this interviews on other people shows on Wednesdays, in 25-minute blocks for two hours, so you’re the first of four. I only doe on EntrepreneurOnFire interviews only on Tuesdays. I do eight back to back interviews. And Mondays, Thursdays and Fridays, I have nothing scheduled, except for incredibly important, actually events that I just know that I need to get going on. Joe Sanok: I think I may have lost you for a second there. Let me see what’s going on here. John Lee Dumas: I can hear you. Joe Sanok: All right, sweet. Well, I’m sure they can pick up the recordings, so maybe it’s just my headphones. Yeah, I just missed that very end part there. So, it sounds like you really just like kind of invest in your own body first, and then from there you just dive in. John Lee Dumas: Yeah! You know I’m just a hard worker by nature, too. I mean, I’m not going to try to say, I’m Mr. Four-Hour Workweek. I come not. Like I work 10 hours a day minimum, and I love it. I mean, you know it’s just one of those things that I’ve been able to choose my—I was never a workaholic, when I was working for other people. I was always Mr. Minimum. But now that I am working for myself in an area that I enjoy and like, I can get a little crazy. Joe Sanok: Yeah. Well, John Lee Dumas, what’s one thing that maybe we missed that you would say is just a piece of advice for anyone that wants to become a consultant today. John Lee Dumas: What I would say is a quote that I relate built the foundations of EntrepreneurOnFire with is an Albert Einstein quote. “Try not to become a man of success, but rather to become a man of value.” I know that I tried to become successful for the first 32 years of my life and I was chasing and sprinting up at the wrong things. And when I finally put that on its head at 32, and launched EntrepreneurOnFire which is focused on value, everything changed, and I’ve seen success that I’ve never experienced before. Joe Sanok: John Lee Dumas, how can people get in touch with you, if they want to hear more about you? John Lee Dumas: EOFire is where all the magic happens. Joe Sanok: Awesome. Well, John Lee Dumas, from EntrepreneurOnFire, thank you so much for taking time out of your day and doing this power podcast interview, and it’s been awesome getting to know you. I love that Albert Einstein quote and you know, I have the kind of vantage point of having already interviewed 16 of these consultants at the time of this recording and so I know what’s coming up. I know the advices coming up and you know one piece of advice: let me tell you a secret that almost every single one of these people has given, and that’s become a person of value. Don’t just be the person of success. Just what John was saying that the more value you give away, the more that you just serve people well, and find a specialty area that needs serving, the money is going to come. That it will come, and John, oh my gosh, at the time of this recording, last month he made just under 300 grand. That is not where I am at in my monthly income, but maybe someday. Maybe someday. Maybe as I learn from all these consultants, I will get to that point. I do post my monthly income reports every month on practiceofthepractice.com. It’s just under articles monthly income report. So yeah, you can check that out and see how I am continuing to grow, also. I would love for you to go to iTunes and rank us. That is going to be the single best way that you can help us, early on in this podcast, because this podcast, especially in the first eight weeks, if we can get in the new and noteworthy section, I’m telling you that will just open up the floodgates of new audience members and that will just position us to be able to serve you even differently. You know if we can figure out ways to bring in money, bring an audience, bring in kind of specialty, it then allow me to do even more work to serve you. So, I would love it if you go into iTunes, write an honest review. Let them know what you think about the podcast. Share us with your friends. We’d absolutely love to hear from you. So thanks so much to Legendary Lion for being a sponsor of this podcast and thank you for letting me into your ears and into your brain. Have an awesome day. I’ll talk to you tomorrow. To discover more about how to grow a specialty audience and income, this is becomeaconsultanttoday.com. Joe Sanok: Welcome to How to Become a Consultant Podcast with Joe Sanok, Session 16. This has been an active week with John Lee Dumas. Holy cow. We have just been killing it. It’s been so much fun just hanging out with him and next week, we’re actually going to have my brother, Pete Sanok, who he was my very first consultant. He was a business consultant in Chicago. He did just so many great things to help me just launch as a consultant, and he gives you all sorts of information that helps you discover your inner consultant. He’s going to be with us next week, and I want to thank Legendary Lion for being our sponsor for this very first three weeks of the podcast. Thanks for believing in us before we even launched, doing our website. You guys make awesome logos. Thanks a lot. If you’re looking for a website or looking to update your website, Legendary Lion is just a fantastic option for that. Today, I actually have a listener email that Elaine sent me and I’m going to show that with you in just a minute, but if you want to leave me a voicemail that I can use for the podcast, just go to becomeaconsultanttoday.com. At the very bottom, you will see that you can leave a voicemail right there from Become Consultant Today using that SpeakPipe widget. I want to just tell you a little bit about Elaine’s question. She emailed me the type of consulting she wants to do. She wants to be an independent educational consultant and also do parent consulting. I asked her what are some tools that you need to be successful and she wants to know a few different things: how to do a market analysis as a very small firm without much of a budget. How do you “close the deal” when a potential client is on the phone for a complimentary call? How to choose the correct marketing firm, how to prioritize marketing steps I might pay for and accomplish over time with a firm, how to start realistic financial goals and create a plan of how to get there, ideas from successful consulting individuals or two-people shops on how to structure time, business logistics, ongoing learning, client service marketing, whatever else. Wow, Elaine, so much good stuff you’re thinking so deeply about becoming an independent educational consultant and a parenting consultant. Let’s start with the first one. It’s great that you’ve already identified a specialty, great that you’re really kind of figuring out what that’s going to look like. Independent educational consulting, that could look like a few different things. One thing I’m picturing is you might be someone that goes with families to an IEP meeting advocating for kind of educational rights. Maybe you do some consulting with schools, with principals, to reduce liability with school districts. You could identify specific school districts that maybe have had a number of lawsuits, and they may want to do a loss prevention in the future. So all sorts of different ways to kind of hone on that specialty. How do you do a market analysis as a very small firm without much of a budget? Well, there’s a few things. So you’re going to do a SWOT. That stands for strength, weakness, opportunities and threats. Really, right now, most people unless it’s a direct referral from someone are making their decisions based on online content. And so, I would really start to look at your website. What are you ranking for? There are so many keyword planners out there that you can look at how are you ranking, what are you ranking for, what are the keywords that you’re optimized for, looking and seeing who else are independent educational consultants. If you’re going to be location-dependent, so you’re only going to be in Northern Michigan, who are your competition there versus kind of international or national firms that would do educational consulting? What are the things to consider in doing educational consultancy services? I would start to pick the brains of other people that are doing educational consulting and really start to just know your competition. And then look at what sorts of opportunities? How are they ranking in Google? What are they ranking for? Where are they number 1? Where are they number 20? Where are their opportunities? And then where are their threats? Looking at different people that are kind of up and comers. When you do that market analysis, you’re going to want to really make sure you know Google keyword planners so you can look at in your area or in your State or in your nation, who’s googling what around educational consulting because if five people every month are googling educational consultant, you want to figure out what are some terms people are googling? They may google how to prepare for an IEP, there might principals that are googling certain things. That’s where you’re going to really want to make sure that there is an audience, and a great way to do that is if there’s already people that are making money in that field and you’re not the first adaptor. Sometimes, that can really help. So then had how to close the deal; it really depends on if you’re meeting with a school district and you’re consulting with them versus an individual say family that’s going to hire you to do educational consulting. Let’s talk about like larger firms or larger practices that are—people that like a school district that you might want to have bring you on. Each school district kind of has its own gatekeepers. You want to make sure that the people you’re talking to are the decision-makers. That is not just some rogue principal that’s taking up 30 minutes of your time. That you’re really going to want to make sure that you are talking to the people that are the decision-makers or they are at least on the decision-making team. Early on in that, if you’re going to do a free phone call or even before that call, maybe an email, ask some questions like who are the decision-makers around this project? What spurred you on to want to do this project? What are some of the outcomes and what are the reasons that you’re doing this project? What sorts of things are you considering beyond me? If you’re working with an individual, you want to give them as much prep ahead of time so that you can kind of hit the ground running when you’re on that phone call. I think that in general, if you can close the deal on that phone call, that’s easier to do typically with an individual or a small practice or a small kind of business that’s bringing you on versus a larger say district or a larger company. Oftentimes, they have many more gatekeepers that things need to go through. They want to see a proposal, they might want you to come back and do a presentation. There’s a lot of different ways that they may have you do it depending on your specific market. But I think in general, the more that you can get even a loose yes or even a firm yes before you move forward too much is really helpful. That’s something that I learned from Kelly Higdon who’s coming up on in some future weeks here. She really helped me with my own consulting in closing the deal on that phone call and if someone is not ready to say yes, to really help figure out what’s standing in the way of that yes. I went from probably 10% closing to now probably 75% closing. I would bet that 3 out of 4 people that by the time they talk to me, they’re ready to give me the money and move forward, because I’ve created enough things ahead of time to help them understand what’s going to be the financial side of things, what’s going to be the time commitment, all these things before we even get on that first phone call. Your other question Elaine is how to choose the correct marketing firm and how to prioritize marketing steps. A marketing firm can be helpful but you really want to know like what is the outcome that you’re seeking from a marketing firm? A marketing firm’s only going to be as good as the vision that you give them. And so you really need to know what it is you want to achieve. Do you want to get more people on to your email list? Do you want to get more people to opt in to something? Do you want to get more people that directly want to do consulting with you, figuring out what is it that’s going to slowly build that trust or quickly build that trust with people? It may be that initially, you’re going to try to get people on to your email list and then you’re going to provide them great content around educational consulting about the top 10 things school districts do wrong that set them up for a lawsuit or the 5 questions that parents need to ask in an IEP meeting so that you’re building that content, you’re building that connection with people, that trust so that when they’re ready to do the consulting, you’re the person that they go to. I would also say how, in regards to hiring a marketing firm making sure that you get some references, find out what’s the ROI they expect, what is it that they in the past have done were some of their success stories and also asking them when have people failed? When has your marketing not worked? And can we talk to some of those people, as well? Your other question has that realistic financial goals and create a plan of how to get there. So, for myself, I really personally am pretty debt averse. I’m fairly and I know this is different than other consultants. I tend to be really smart when it comes to wanting to take small steps in the right direction rather than be pretty risky and that’s because so my business I’m an entrepreneur, a solopreneur. I have contractors that did work for me that are project-based or I have counselors that they’re all 1099 contractors. When something fails, like that’s my failure that’s eating the cost. That’s money that’s not going back to the Sanok family. I really want to make sure that if I’m investing in something and setting realistic financial goals that it’s based on some sound judgment. That’s why on Practice of the Practice, I post my monthly income report every single month to give myself some accountability to also kind of show what’s working looking up months, down months, what did I do well, what did I do poorly, and I want to just see that continue to go up and rather than say, “I going to hit this exact number.” It ends up being that I want to keep progressing. With that said, as I was planning to leave my full-time job, I ran a bunch of numbers to figure out what was the minimum amount of money that I needed to come in to survive? So, we’ve got rent at my private practice office, we’ve got all the cost of keeping the website up and we have now you know, Libsyn hosting. We have Meet Edgar, we’ve got lead pages. All these things they have their expenses and then I’ve got my family. In my head, even though they’re separate entities, I’m thinking, “What’s the total amount that needs to come in to keep the Sanok family, to keep Mental Wellness Counseling, Practice of the Practice and Become a Consultant Today, all going. In my head, I have my number that it takes to keep all of those afloat so minimum and saving for taxes, paying for health insurance, all of that. What are some ideas from successful consultants? All right, so your last question, ideas from successful consulting individuals or two-person shops on how to structure time, business logistics, ongoing learning client and service marketing and whatever else. For me, in how I structure my time, I really look at like what is my big goal right now? And so with Mental Wellness Counseling, which is not my consulting firm, but it’s my counseling, I want to fill up my private practice counselors with clients. That’s my big goal because that’s me making money when I’m not having to be physically seated in the chair. And so every month, I want to just make sure that I’m trying to get more and more clients in their chairs and in that practice. With Practice of the Practice, my big goal for the year is to get more consulting clients. And so, everything I do there I try to have be around that so creating good content, having great guests on my Practice of the Practice Podcast, launching this podcast so I can do more and more consulting with people that want to become consultants, creating theconsultantschool.com, where I’m helping people to be able to grow in their consulting through doing kind of virtual consulting through an E-course mastermind group, all of that. For me, if I have more consulting clients, that’s going to make it easier because the finances are just going to come in. I’m going to have people that have committed to four to six months of consulting, paying X number dollars per month and then it makes it just easier. For me, that’s how I do it. I really try to focus in on one thing, really leverage my time. If I have 10 minutes before my next session with somebody, I’m trying to get some emails out. I’m trying to like wrap up a project. I’m setting a finite amount of time to get something done. Over and over, I’ve noticed that when you give yourself a specific amount of time to work on something, you almost always can get it done in that specific amount of time. That idea that our work kind of expands to the amount of time we give, we just mull it over and we look for imperfections and it’s like just get it done and move forward. Do quality work, you know, express who you are as a consultant through that work, but don’t just get stuck there because you know, you’re just not going to get as much done. Elaine, I really hope that that helps you. I’m really excited that you emailed me, and I’m looking forward to getting more questions from people. Probably the very best way would be to leave a voicemail through becomeaconsultanttoday.com. If you scroll all the way down to the bottom, you’ll see that you’ll be able to leave a question right there at the very bottom, and just use your recorder on your computer. That would be great to hear those. I wanted to a read a couple of reviews. We’ve had some amazing reviews come in and actually, I think I read this in, I don’t know if it’s a future episode or a past one, because I batch-recorded things and then this one, this episode actually somehow got lost. Maybe we’ll hear this again. [sounds like: Kemi Stork] wrote a five-star review: awesome content. I always enjoy the guests you have lined up. You truly embody working from a place of abundance in helping others grow their businesses. You hit another one out of the park, Joe. If you go to iTunes and leave review, I’m up to six reviews right now. The best way to help us out is to subscribe right now and to go leave a review. The top podcasts when they launch typically have over 20 reviews, and we’re already today at six reviews and I know that we can have more than that pretty soon. We’ve got eight weeks to get to the top of new and noteworthy and then we’re totally on our own. I want this to be something that I can continue to do over and over and move this into the future, but I need your help to be ranking and to the get audience to make it make sense for us to keep doing this as a long term project. Thanks so much for letting me into your ears and into your brain. Next week, we’re going to be talking with Pete Sanok, my brother all about how to become a consultant and again, thanks Legendary Lion for being a sponsor for these first three weeks. You guys are awesome. You make such great websites, and it’s such an honor to have you guys as the sponsor. So all — everything else you guys need to know is at becomeaconsultanttoday.com. See you.